While you could simply enjoy the game as is, you can also install additional mods made by Donut Team or the community to enhance the game further. Mods come in two forms, as a folder and as Lucas Mod Launcher Mod file (.lmlm). The install process for both is the same. Other content may be distributed using third-party websites. What is the install process for mods? Where can I put mods I download? The Mods folder next to the Mod Launcher. For this tutorial, we'll be placing it in the Documents location using the Mod Launcher's built-in link. The mod I downloaded is a .ZIP, .RAR, .7z file. What do I do? That's a compressed file. You will need to extract the content before we give the file to the Mod Launcher. 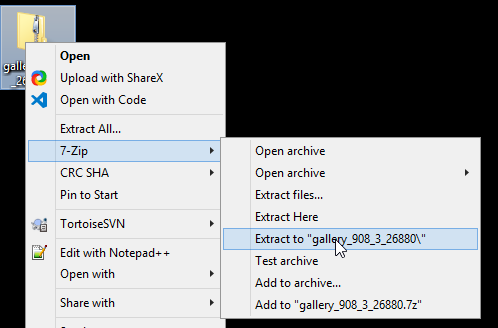 If it is a ZIP file, you can simply right-click and click "Extract All..."
Otherwise, you can download 7-Zip (https://www.7-zip.org/) and install it. Once it is installed, right-click on the file and hover over "7-Zip" and then click "Extract to" to get the files inside. Where does Donut Team recommend I put my mods? Using the Documents location is the preferred way, as it is the easiest location to get to and manage. 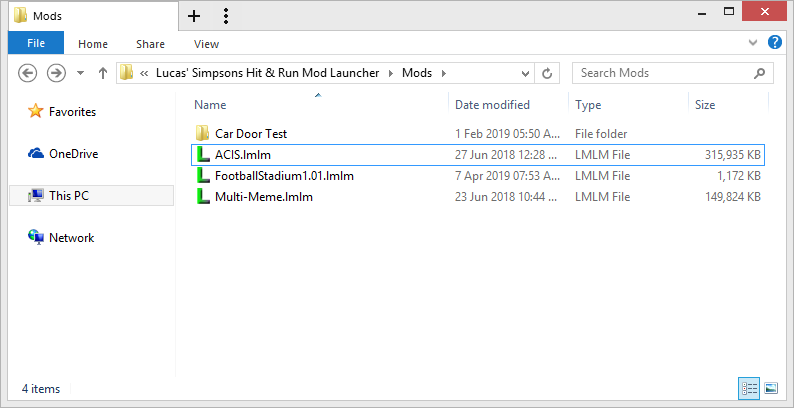 You can get to it by opening Lucas' Simpsons Hit & Run Mod Launcher. Secondly, click on the "Open..." button in the bottom left-hand corner. Under the Open menu, you should see a button that says "Mods" - Click that button to open your Mods folder in Windows Explorer. You'll want to place any Mod Folder (any folder that contains a "Meta.ini" file) or any LMLM file in the folder that opens in Windows Explorer. You can view the screenshot below to see an example of how it may look. In the example shown, there are 3 LMLM files and one mod folder. Make sure to press the "Reload" button (or Control+R) in the Mod Launcher to show all the content you just added.